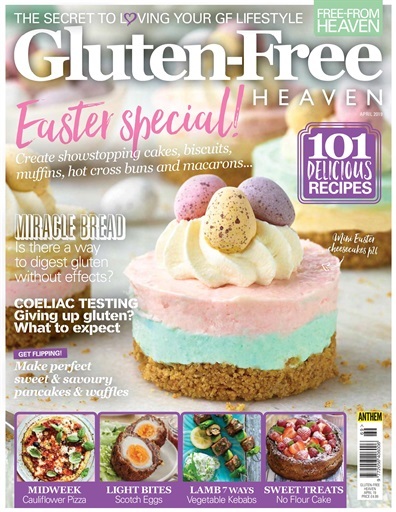 (3 Customer Reviews) | Write Review 12 issues per year Gluten-Free Heaven Magazine brings you over 100 carefully selected, seasonal, gluten-free recipes every issue. Whether you chose to eat gluten-free as part of a healthy diet, are gluten-intolerant or have coeliac disease, the great range of tempting and nutritious recipes in this beautiful magazine app will help you enjoy varied and tasty meals every day of the week. And with a new issue every two months, you’ll never run short of new ideas and inspiration. 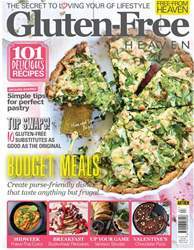 Eating gluten-free can be a challenge - let Gluten-Free Heaven Magazine make your life just that little bit easier - and a whole lot tastier! 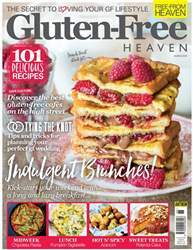 Gluten-Free Heaven Magazine brings you over 100 carefully selected, seasonal, gluten-free recipes every issue. 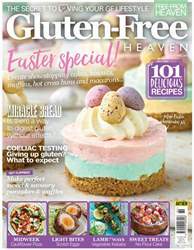 Whether you chose to eat gluten-free as part of a healthy diet, are gluten-intolerant or have coeliac disease, the great range of tempting and nutritious recipes in this beautiful magazine app will help you enjoy varied and tasty meals every day of the week. And with a new issue every two months, you’ll never run short of new ideas and inspiration. 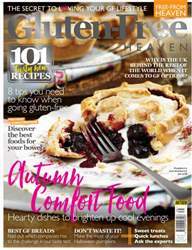 Eating gluten-free can be a challenge - let Gluten-Free Heaven Magazine make your life just that little bit easier - and a whole lot tastier!